A consistently perfect cup of coffee is generally impossible to find. You'll go to a café one day and be delighted with the flavour, only to return a day later and be disappointed with the output. I'll admit, this happens to me often, being a lover of a morning coffee to get into gear. 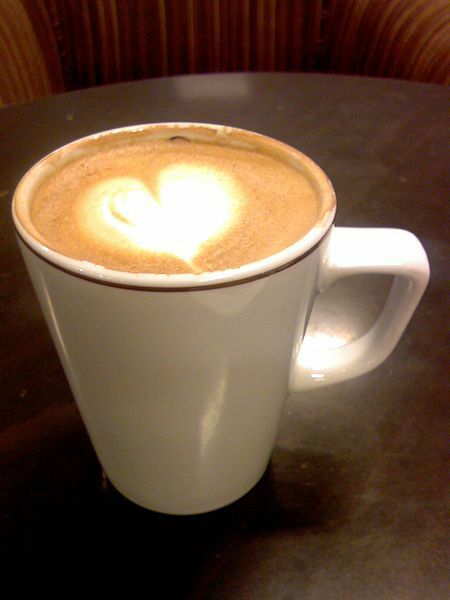 But I can assure you, grab a warm beverage from Fruits of Passion and you will never leave the result to chance again. Located in Bellair St, Kensington, directly opposite the train station, Fruits of Passion is a small café that often eludes the eye. With so many similar establishments in the area, only those who know the hidden gem will avoid the bigger and more advertised options. What sets this coffee apart from the rest, you ask? Well, read on. Served at the perfect drinking temperature and infused with café milk, the coffee here is consistent above all else. Most mornings there'll be a queue from the counter to the tables outside, with people awaiting their delicious caffeine hit. The crew are friendly and efficient, responding to customers quickly and politely to ensure the service matches the product. More often than not they will strike up a conversation and diminish the wait. All the favourites taste fantastic, from lattes, flat whites, cappuccinos, mochas and more. If you're in the area, take this advice and challenge my opinion. Along with coffee, to which they are locally famous for, Fruits of Passion also serve reasonably priced meals. Breakfast is the highlight (try the pancakes! ), so much so that it becomes difficult to be assured of a table. Open from 9am-5pm every day of the week, this is the place to kick-start your morning.